"I'll return to reality tomorrow with a follow up to Neutron star collision detected and other top science stories of 2017. Stay tuned." That's how I signaled that I would continue my look back at science and space at the end of Celebrate National Science Fiction Day with 'The Last Jedi' atop the 2017 box office. 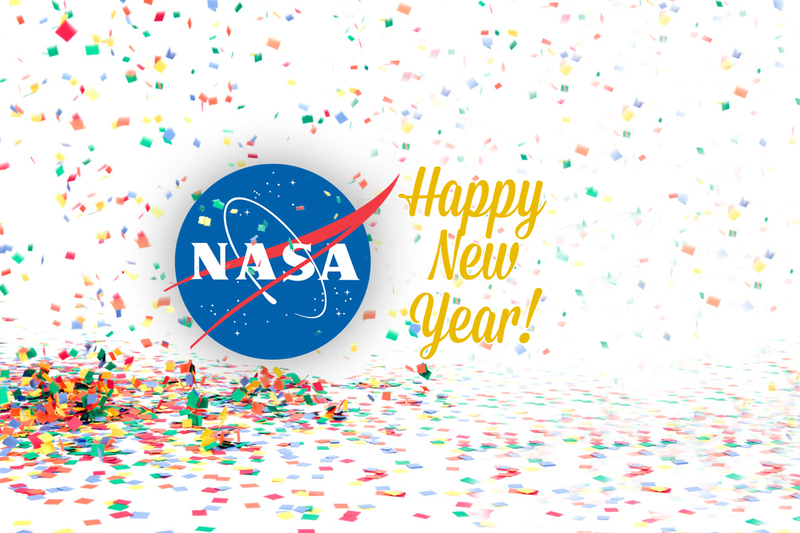 To that end, I'm sharing 2017 - The Year @NASA (Update) with my readers. 2017: A year of groundbreaking discoveries and record-setting exploration at NASA. The Moon became a focal point for the agency, we brought you unique coverage of the first coast-to-coast total solar eclipse in the U.S. in 99 years, we announced the most Earth-size planets ever found in the habitable zone of a star outside our solar system, and more! That's what NASA did last year. Some of those projects will carry over into this year, as shown in NASA's 2018 To Do List. This is NASA's 2018 'To Do' list. The work we do, which will continue in 2018, helps the United States maintain its world leadership in space exploration and scientific discovery. Launches, discoveries and more exploration await in the year ahead. Both videos show the one thing I like about the Trump Adminstration, its promise to resume and expand crewed space exploration. As for returning to the Moon, NASA is in a race with SpaceX. I think NASA has the inside track, but that is no guarantee for getting there first. Stay tuned, as I plan on reporting on this space race all year long.